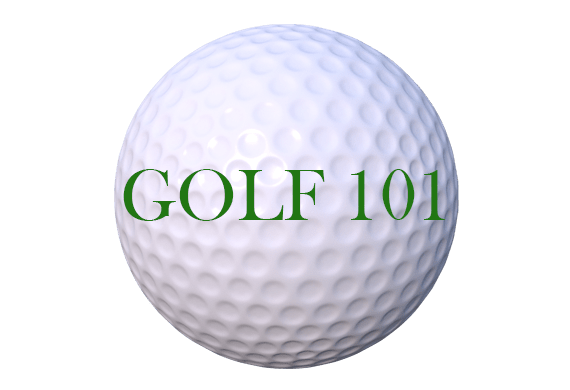 What Is A Hook In Golf? A hook is a shot with a severe right to left curve. It will typically start down the intended target line before taking a sudden turn to the left. As you can see from the diagram below, a hook is quite likely to take your ball away from the fairway and out of play. For a lefty, a hook will move in the opposite direction: left to right. The root cause of a hook is a clubface that is too far closed at impact. That imparts a counter-clockwise spin to the ball, causing it to arc left. The closed clubface is often combined with an over-the-top, or outside-to-inside swing. The hook is similar to a draw, which also starts right before curving left. A draw, is less severe, however, and a highly desirable shot. 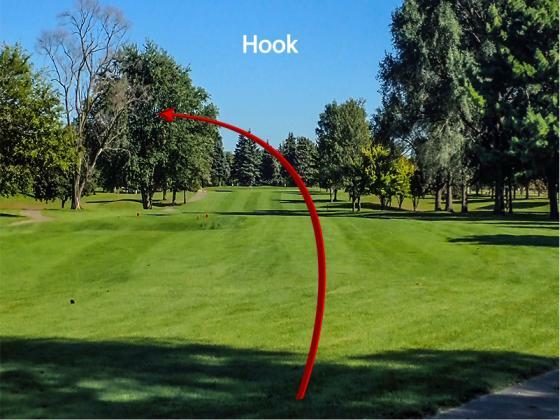 On both a hook and a draw, the counter-clockwise spin adds extra distance to the shot. Some of the longest drives I’ve ever hit have been hooks. A hook is often thought to be a problem faced by better golfers, as closing the clubface at impact requires a golfer to do more things “right” than with a slice. Hooks are also notoriously difficult to cure — a hook has been my own “big miss” for years. For right handers, a hook is an especially nasty fault, as many course designers will add a touch more forgiveness to the right hand side of a fairway to accommodate the legions of slicers. Lee Trevino famously said: You can talk to a fade, but a hook won’t listen.